Microphone cable with rotatable swivel mount and XLR 3 connectors. Microphone cable with rotatable swivel mount for microphones with a thread, and double twist braiding as shield. It has a 5/8"-27 female thread, plus a thread adapter to connect to 1/2"- and 3/8" stands. 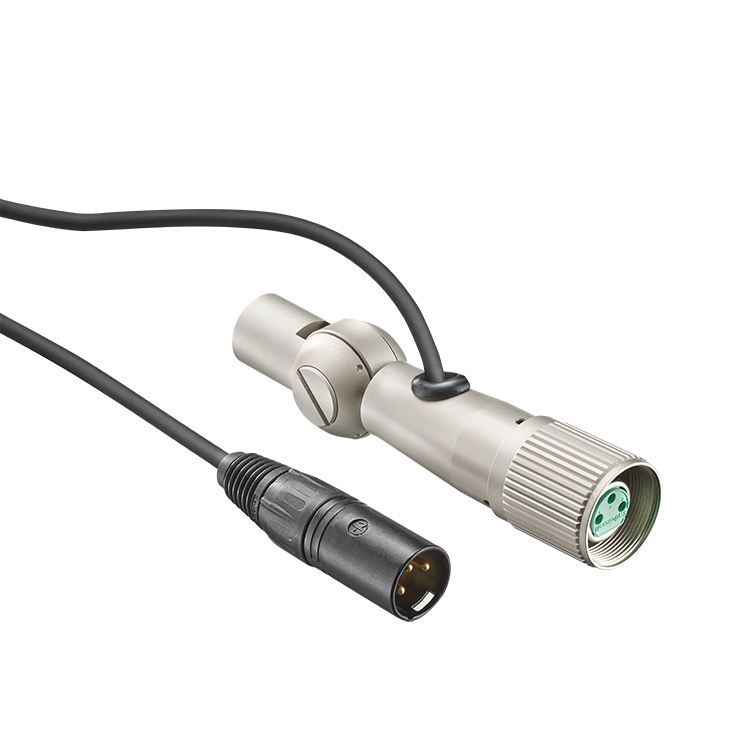 Diameter 5 mm, length 10 m. XLR 3 connectors. Other cable lengths are available upon request! Cable material without connectors are also available. Even if very long (Neumann) cables are used, the electroacoustic characteristics of the microphone are not affected.Only with cable lengths well over 300 m a high-frequency roll-off is noticeable.